The Road Map Project recently announced its first-ever Community Leadership Team, a group that will provide visionary leadership and community accountability for improving education results and closing achievement and opportunity gaps. Over the next few months, you’ll get to learn more about each of the 13 new members through this series. Greg Garcia has worked with youth and communities of color for more than 20 years, including serving as Executive Director of Washington Asian Pacific Islander Community Services. 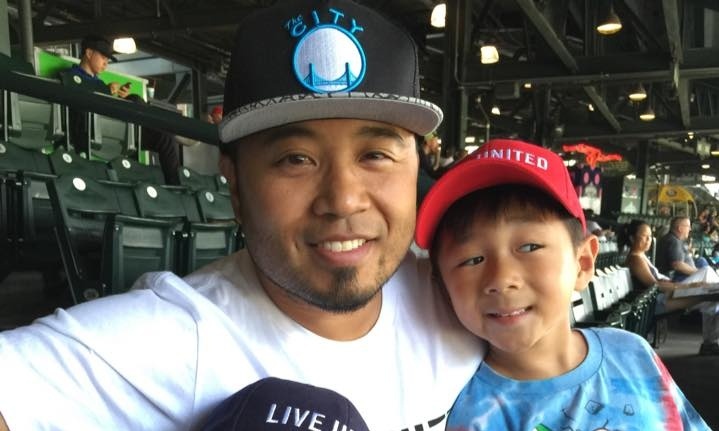 He currently serves as the Supporting Youth Community Impact Manager for United Way of King County. As a community impact manager, I look for programs doing the right work and make sure they are the real thing and having real impact. I also help create the next funding strategies for United Way’s youth centered work. We, people of color, are an asset and not a deficiency or a “problem” to fix/remedy. On a more personal note, I identify as Filipino American and I also kick it with a bunch of people from the local hip hop community. In college, I took ethnic studies classes, mainly Asian American Studies. It was there that I learned the history of my culture and contributions that my fellow Filipino Americans and other People of Color made to American society. It was mind-blowing because I had no previous knowledge. I read Carlos Bulosan’s “America is in the Heart” and immediately became hungry for “the other side of the story.” From these stories, I was able to fill a hole in my identity that I didn’t even know existed until then. I wish I had learned all of this in elementary school, not college. These experiences pushed me into community work, advocating for racial equity and cultural/ethnic education in schools. I do what I do because I don’t want my kids or anyone else’s kids to have to go through what people of color go through in mainstream American schools. In no apparent order (and yes I know I’m cheating because I’m including more than one): Huey P. Newton, Phillip Veracruz, Larry Itliong and Uncle Bob Santos because he taught me that there’s multiple battle fronts to this struggle and that you have to learn how to be inclusive at the same time you’re fighting. Favorite fictional character would be Ryu from Street Fighter 2. Add cultural/ethnic education for all youth, including white youth, starting in elementary school. To represent the community and to make recommendations that will impact the leadership of Road Map project. … only the finish line. Racial justice is the pathway to racial equity. “Game of Thrones.” Is it bad that I’m rooting for the White Walkers? I would recommend it because the struggle for power that is alluded to in the show is similar to the issues we face in our society, minus the dead people walking around. Downtown Renton, Coulon Park, Seward Park, Seafood City in Southcenter Mall! Just hanging out at home with my family, celebrating the holidays with extended family, and cooking certain Filipino dishes for said holidays.